These monogrammed fleece pants are the perfect choice for your big day you can show off your new monogram and be comfortable & stylish at the same time. This listing includes 10 pair of pants for you and your bridesmaids. Available in several colors-black, athletic gray, khaki, brown, dark heather gray, maroon, navy, army green, pink, and white. Please include the following information during check out or in a separate message. 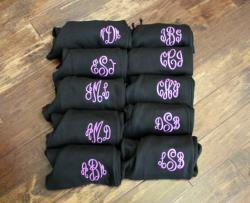 -monogramming information (initials in first, last, middle format) for each pair. 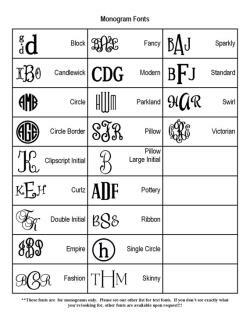 Be sure to put the correct monogram with the appropriate size. -embroidery color-we can embroider in any color. Embroidery will be on left leg unless otherwise requested.